Fast Gear Blogger Template is a decent style template only a real time blogger can understand the attractive bit behind its simplicity. 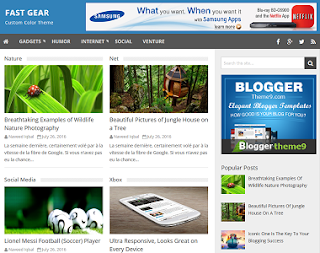 Fast Gear Blogger Template is way faster than an average blog template. Recent post style will surely attract tons of other bloggers from the decent design.